Over the past five years, homelessness in Australia has increased by 14%. Broken down, that’s 50 homeless people per 10,000 people. If you live in the city, there’s a large chance you encounter homelessness every day. But how often do you actually stop, sit down, and have a conversation with these people? That’s exactly how social enterprise and streetwear label HoMie began. After speaking to countless people experiencing homelessness, friends Marcus Crook, Nick Pearse and Robert Gillies wanted to share their stories with the rest of society and created their Facebook page Homelessness of Melbourne in 2014. “We thought if we could just get one person to stop and say G’day, then they could understand what was really going on,” says Marcus. They found that simply showing people was not enough. People wanted to know how they could help. By Christmas that year, they held a pop-up shop at Federation Square and invited homelessness services to shop free for one day. The clothing was sourced from good quality donations, to be re-gifted to those who really needed it the most. Through crowdfunding, the boys were able to raise $3000 to set up a standalone store in Melbourne Central in 2015. The store was based on a one-for-one policy, where to buy an item, you must give an item in return. 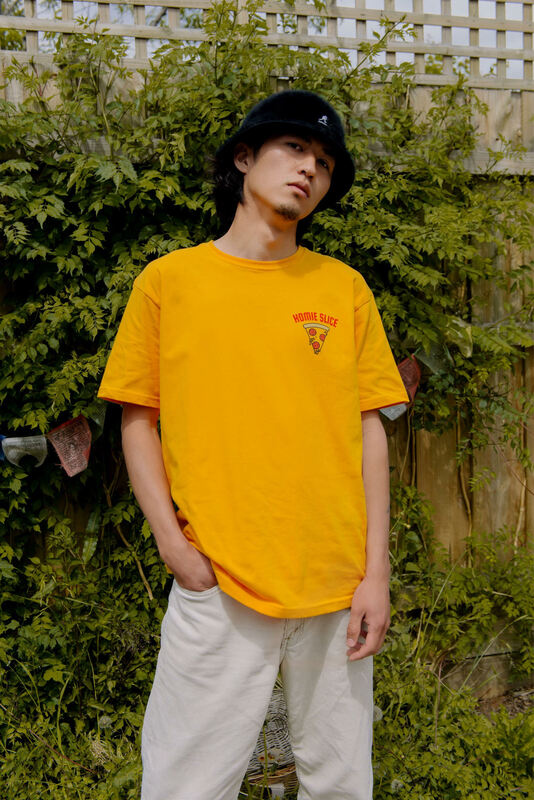 At the time, the product was donated by streetwear labels including Stussy and Cotton On, as well as a small collection of HoMie’s own monogram logo, taken from their Facebook page. 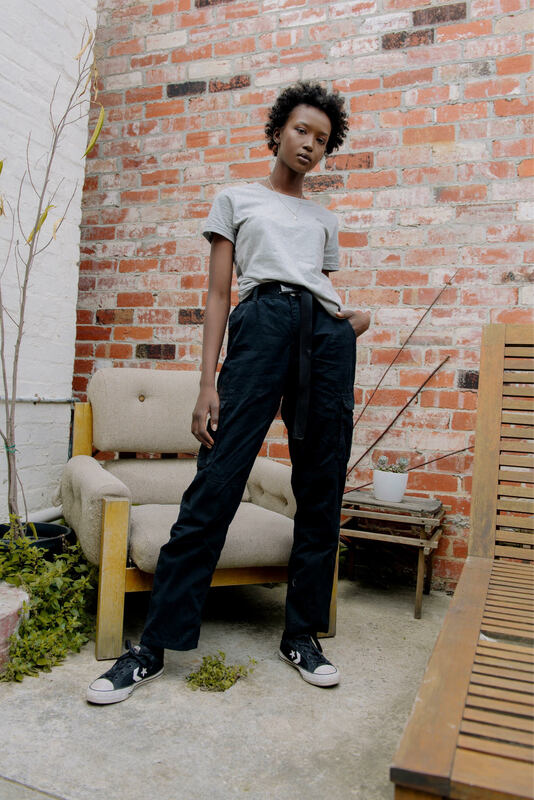 Three years later, HoMie now has its first bricks-and-mortar store in Fitzroy, which stocks their own unique designs as well as collections from different artist collabs. Their latest series is titled HoMie x Jimbo Bones. Having just celebrated their 43rd VIP day, these events have since evolved to offer a full five-star service where young people experiencing homeless get free clothing, toiletry products, beauty packs, haircuts, manicures and lunch. The other key component of their social welfare initiative is the Pathway Alliance. 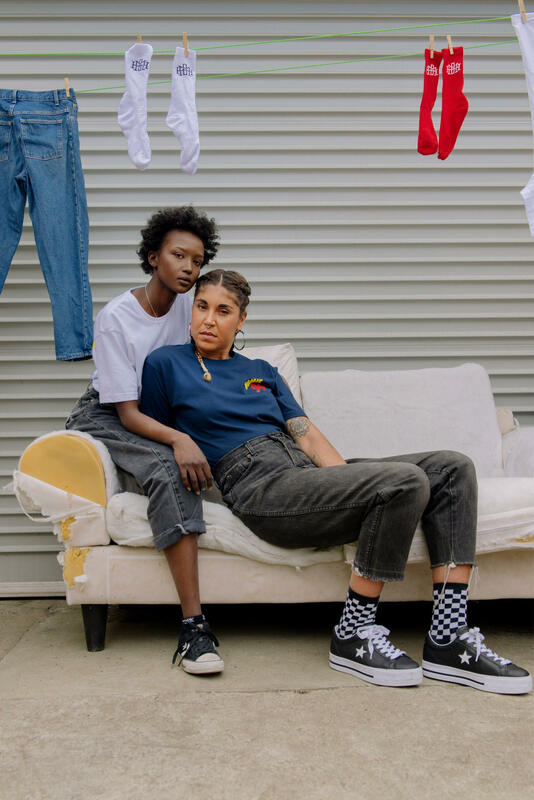 Introduced in 2017, the project is a paid internship program that employs young people experience homelessness and gives them real, on the job experience and a Certificate III in Retail. Previous participants have moved onto permanent positions in retail businesses like Apple and Cotton On. This year, HoMie have also moved all operations to exist solely in Australia. As transparency is a key principle to the label, they work and support local businesses Qualitops, Redwood Press and LMB Knitwear. 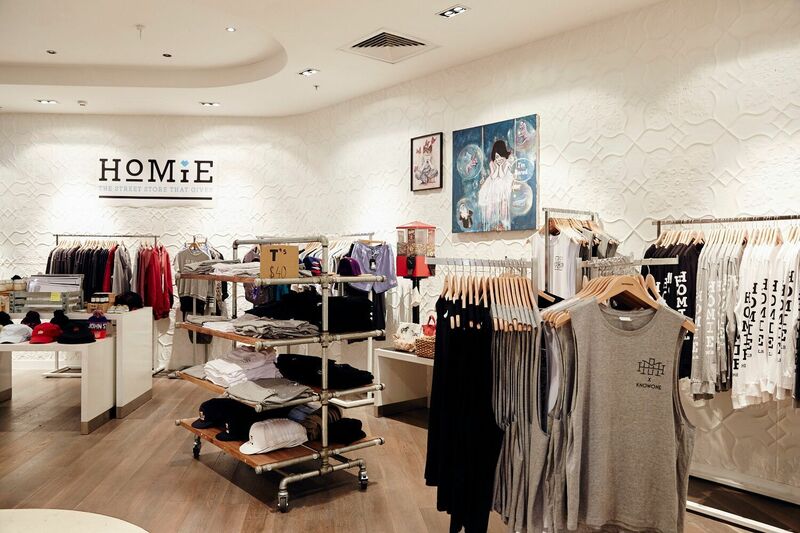 HoMie’s determination to make a difference saw them win the Westpac Business of Tomorrow 2018 award, become finalists in two categories of the 2018 National Retail Awards. As for what’s next for the label? Nick says they’re looking to expand their internship program to engage with more retail industries. 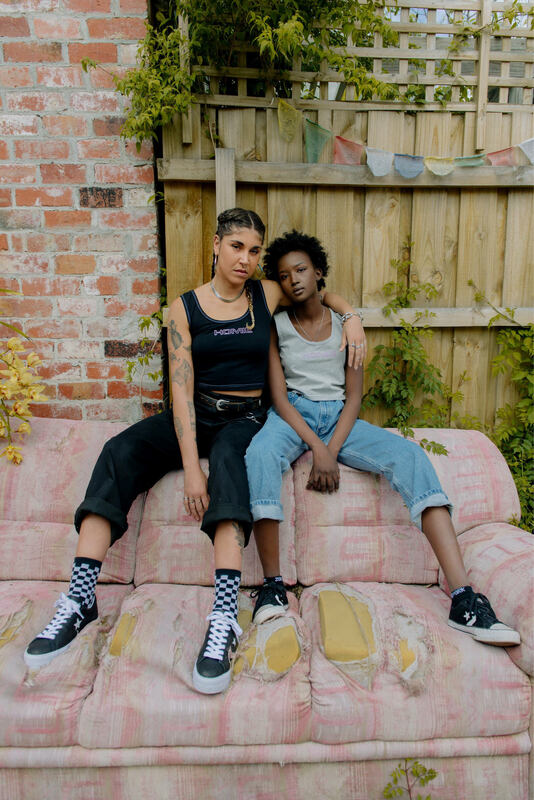 To shop HoMie's latest range, head to their website homie.com.au.